Miss Hannah just turned 1! We celebrated Hannah at this baby shower and at this gender reveal dinner. Her party theme was Wizard of Oz, and her mama did an AMAZING job with all the little details! 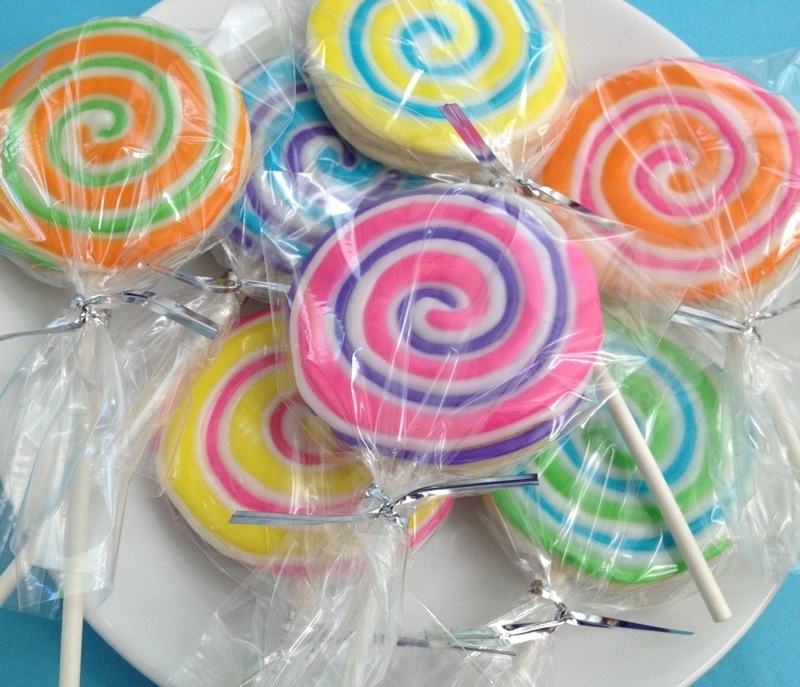 Parties can drive a modern mama crazy, but once it’s all pulled together it’s spectacular! I was up for the task of making the cookies of course. 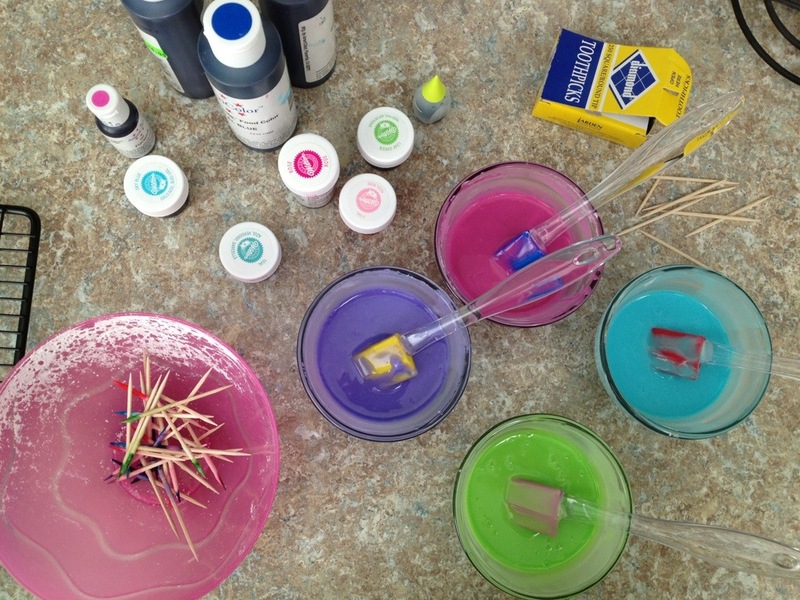 I had a hard time deciding what to make because there are so many fun ideas with this theme! I decided to go with rainbows, ruby red slippers, and a bit of yellow brick road. Here is my progression with the rainbows… I wanted it to be as even as possible but didn’t want to have to mark out the cookie ahead of time. I filled each rainbow color below the line it matched, if that makes sense. I started with every-other color to make sure nothing ran together while it was wet. Then I came back a little while later and did the rest. For the yellow brick road I decided to line it all ahead of time and fill each section individually to give it dimension. I outlined and filled in red, then added some disco dust once they were totally dry. I used a paint brush to just barely wet the top with vodka (don’t freak out, it evaporates) then sprinkled the sparkles across the cookie. Let it dry overnight, then used another dry paintbrush to brush off all the excess. There was sparkles EVERYWHERE. 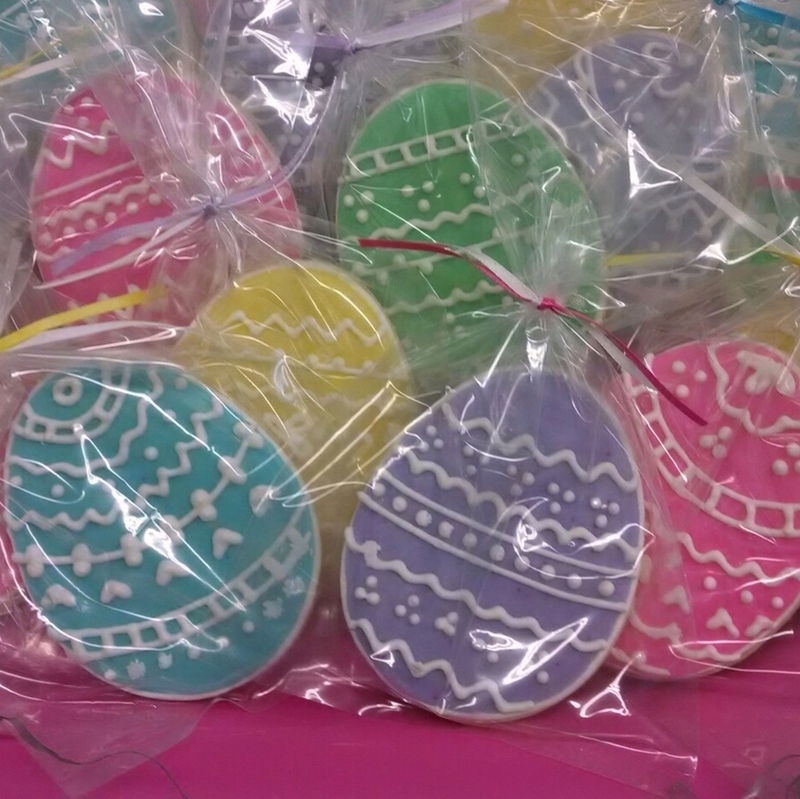 Here are the finished cookies all together. 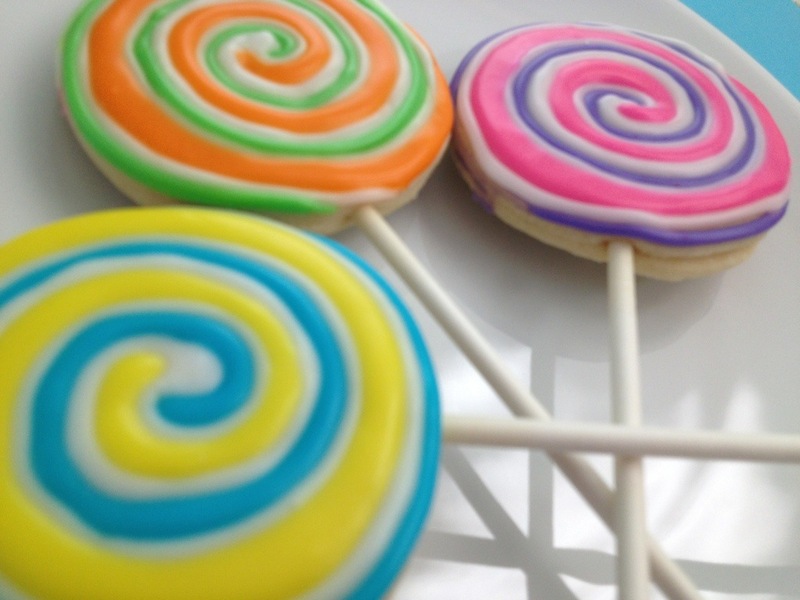 Love the dimension on the yellow brick road cookies. So lucky to get to make these for little miss Hannah. A coworker asked me to make these for her friend’s 11 year-old daughter. I used my wine bottle cookie cutter, and trimmed as necessary. I outlined in all black because it makes the colors pop. 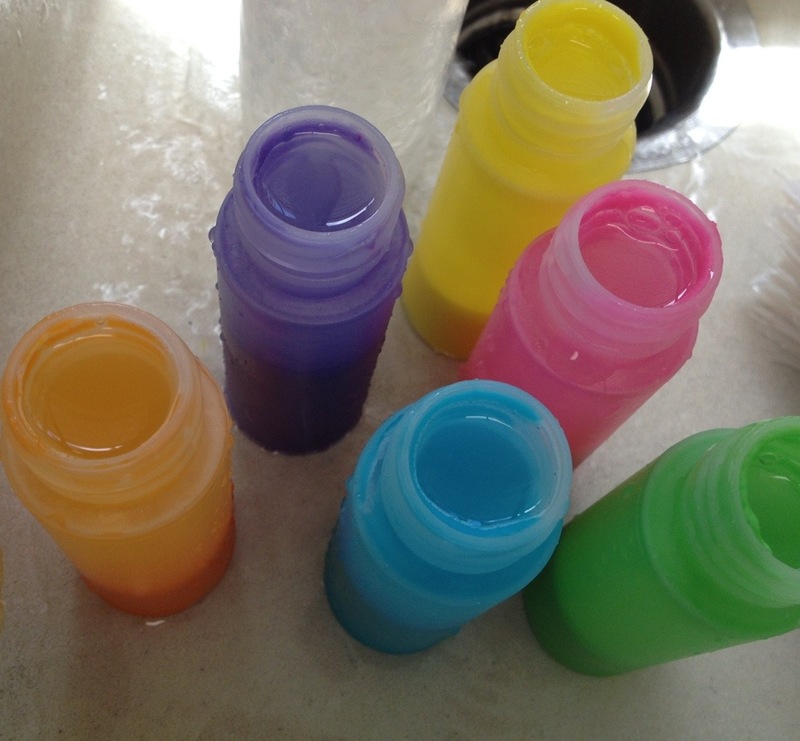 Then just made the brightest funnest (yes I said funnest) colors I could! The white “glare marks” really brought them to life. 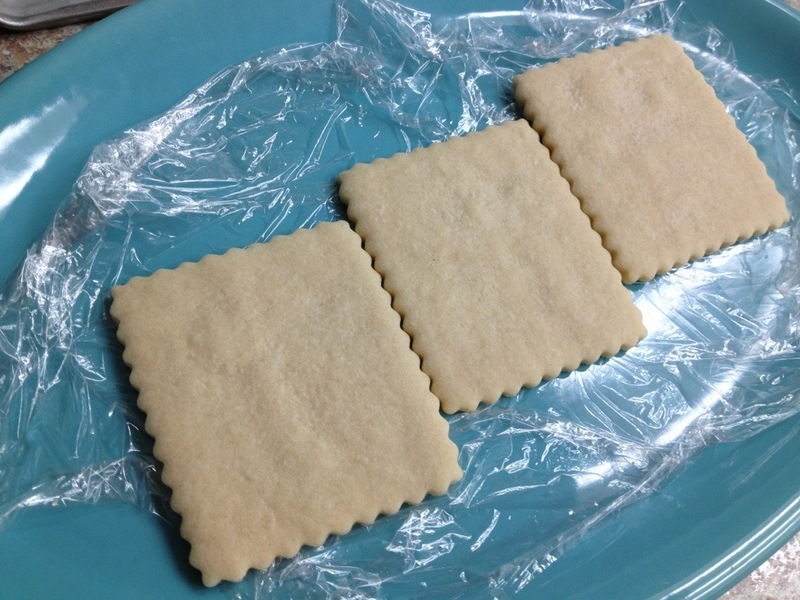 I have been wanting to make margarita cookies for a while now, but never had the right opportunity. I even had the cutter on hand! 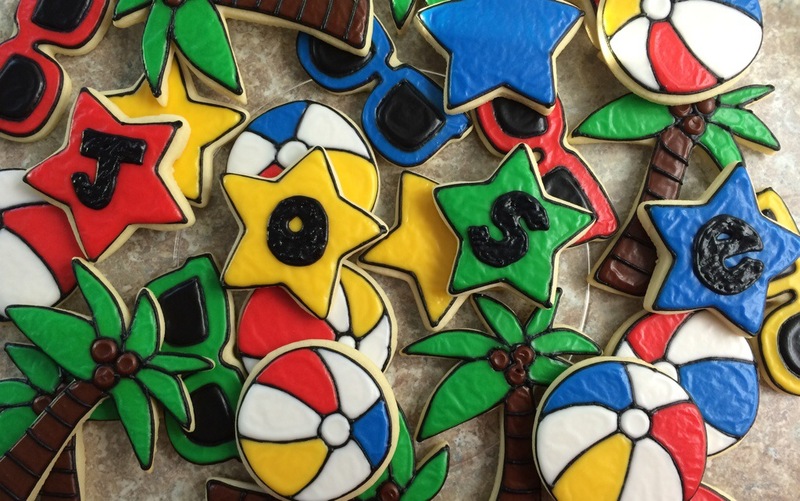 When Suzanne asked me to make her margarita cookies for a rehearsal dinner, I was stoked! The “salt” rim was made with clear chunky sugar sprinkles. 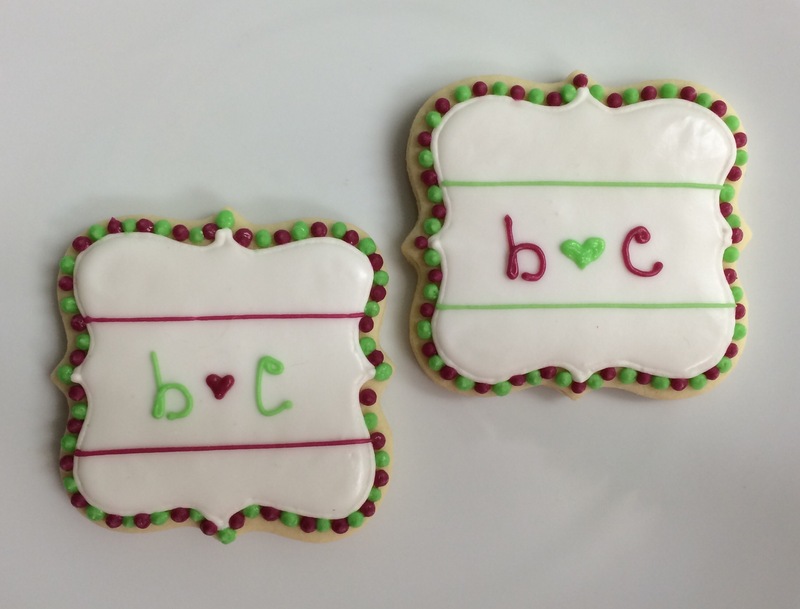 I also make some with the couple’s initials. Jose turned 11 on the 4th of July! 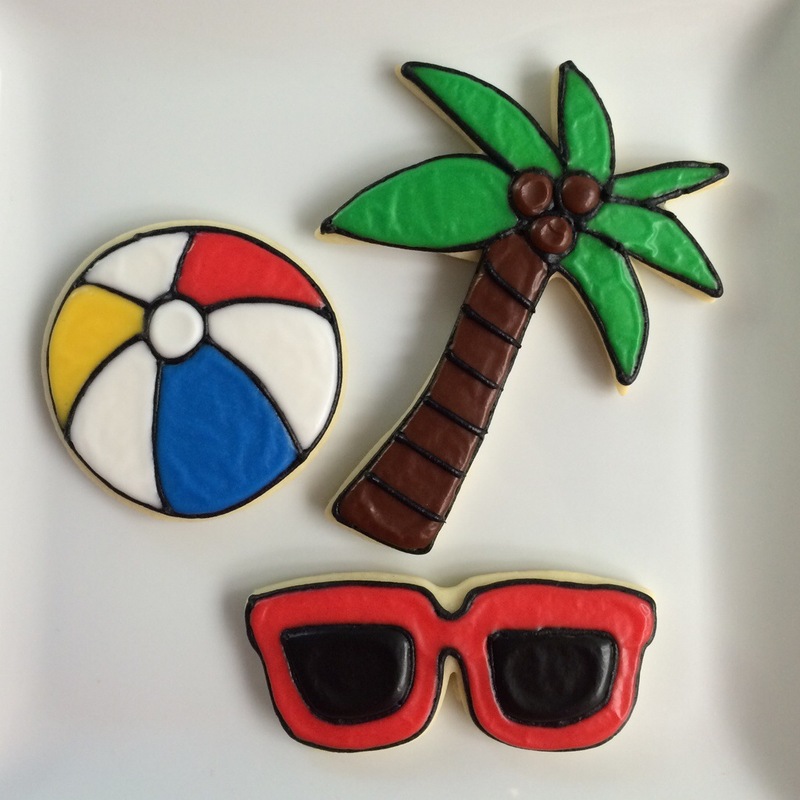 He had a pool party to celebrate, so there had to be matching cookies! Made these for a friend’s mom for a get-together. Even though they are pretty detailed, they didn’t take a ton of time to do. Filling the eggs with a solid color and only using one color to pipe with saves a TON of time. Each cookie is totally unique. I just made up the designs as I went, there was no template that I followed. Doing this also makes it more fun! 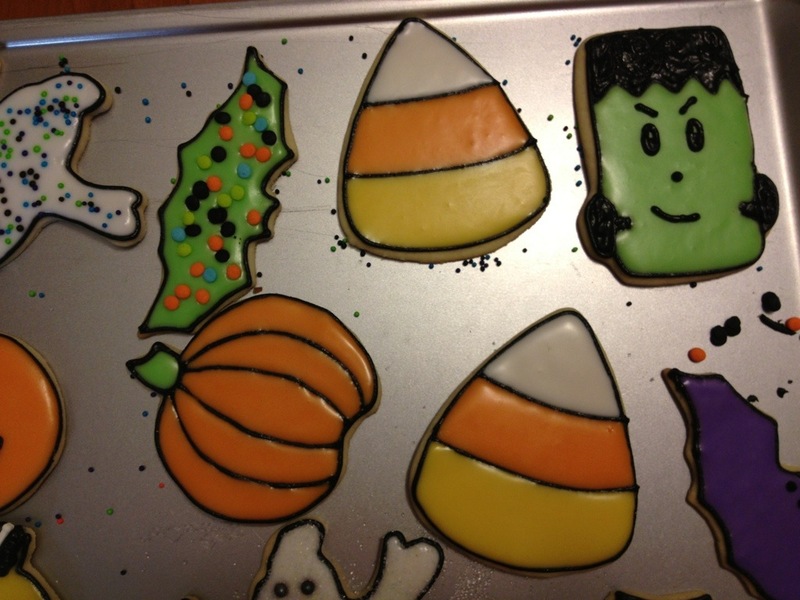 Once I was done making the cookies for the party, I had a few leftover that I played with. I really like how these “swoop” designs turned out too. And SO easy. Hope everyone has a great Easter! My second baby shower’s theme was “She is about to POP!” My girls know how obsessed with bright colors I am, so they chose bright bright shades of pink, green, blue, yellow, purple, and orange. 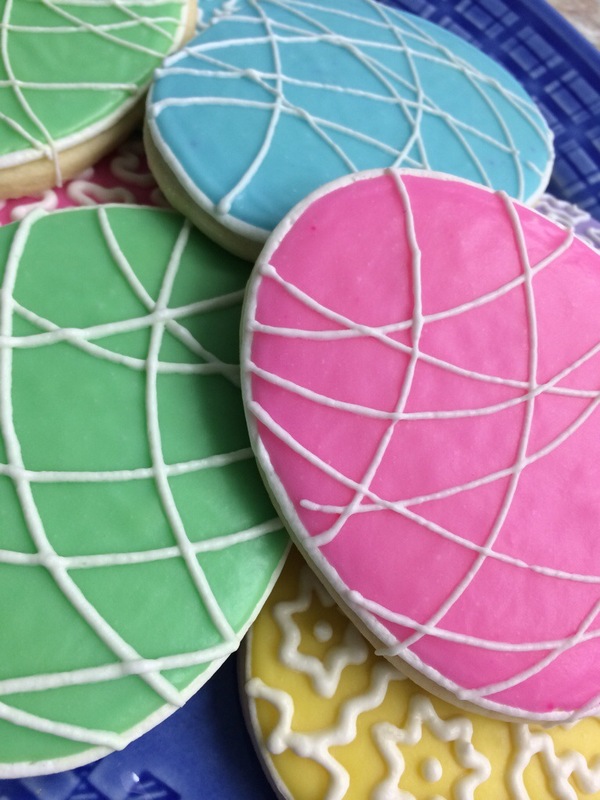 I was feeling lazy (and crunched for time) when it came time to decorate these, so I skipped the outlining step and made the icing thicker than normal. 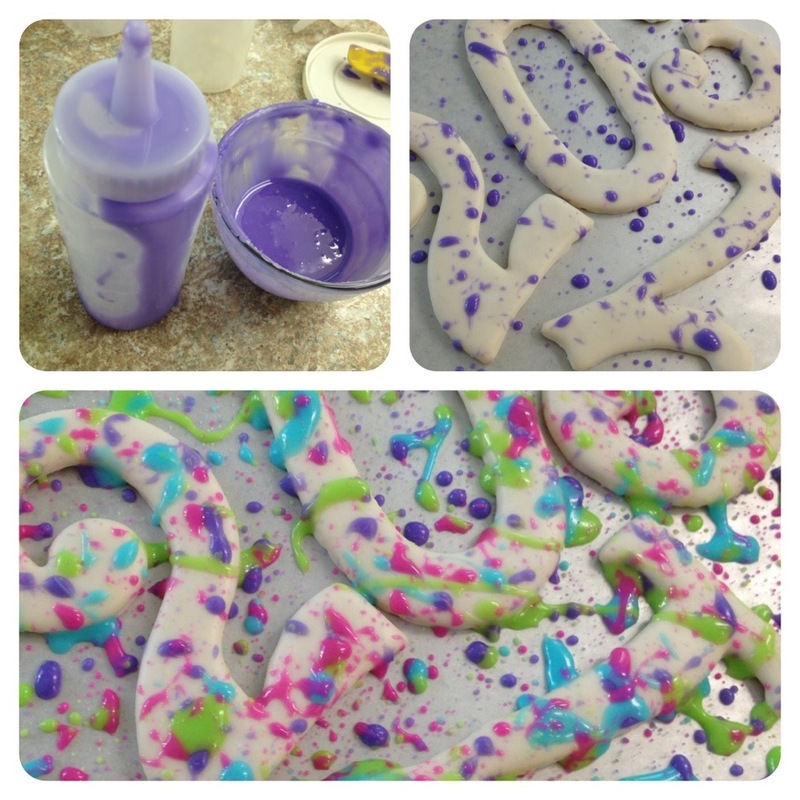 Then all we had to do was pipe a swirl onto the cookie, and then repeat in the other colors. 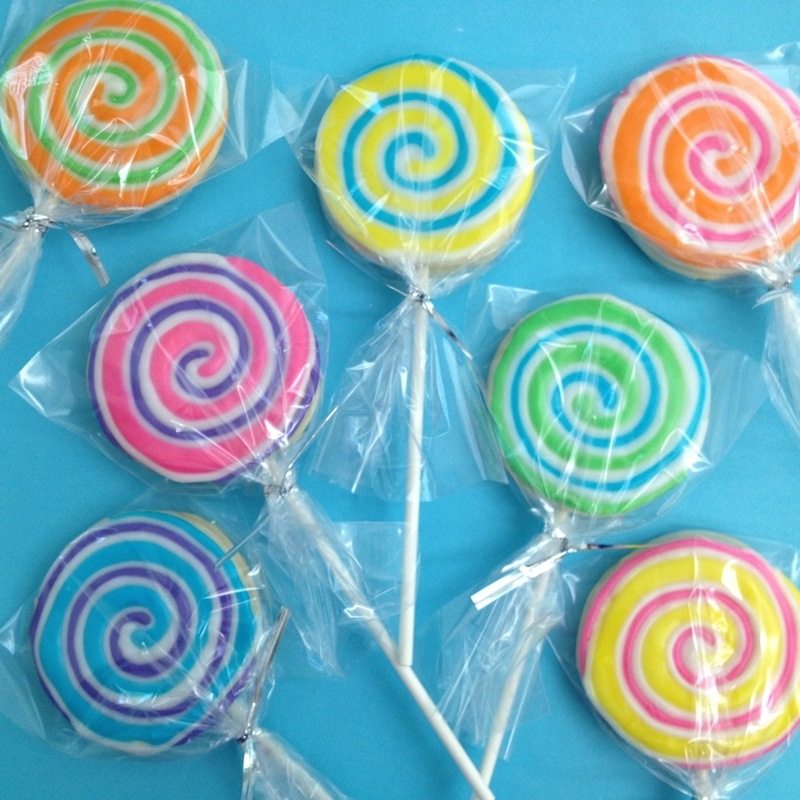 Once they were wrapped like lollipops they looked adorable! Syler turned 2 this last weekend! 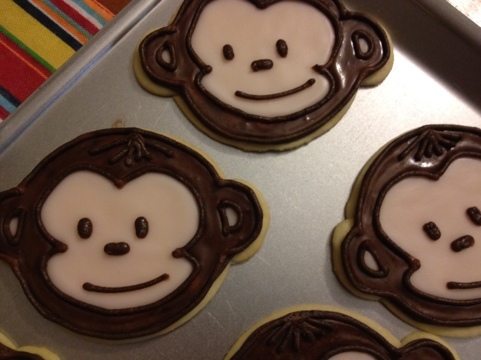 Last year I made these Monkey cookies from this post for his party. This year his birthday was Yo Gabba Gabba themed! Last summer I first learned Yo Gabba Gabba when I made this very special cake for a very special friend of mine. Since then, I have been scared to make Yo Gabba Gabba cookies. Not only are the characters all uniquely shaped, but as a group they total 10 colors! When Syler’s mom asked me to make Yo Gabba Gabba cookies for the party, I was relieved that she liked the idea of doing simple circle shaped cookies with just the basic elements of each character. 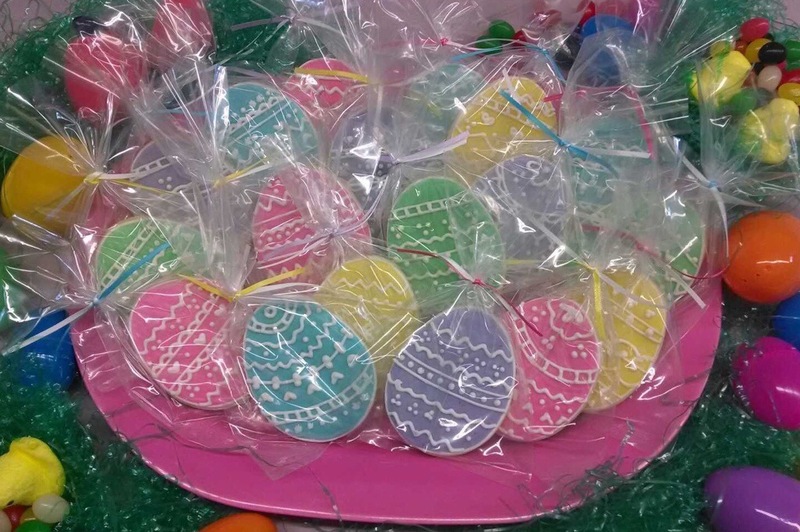 Each cookie was bagged and tied with tags as his party favors. 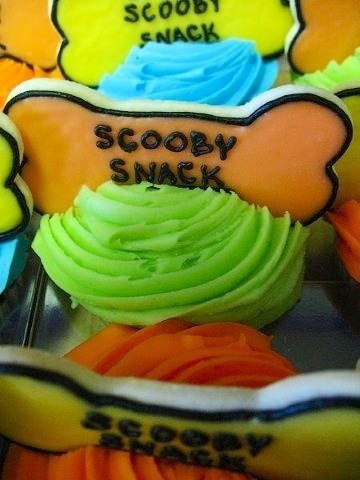 Mama said Syler loved his cookies! 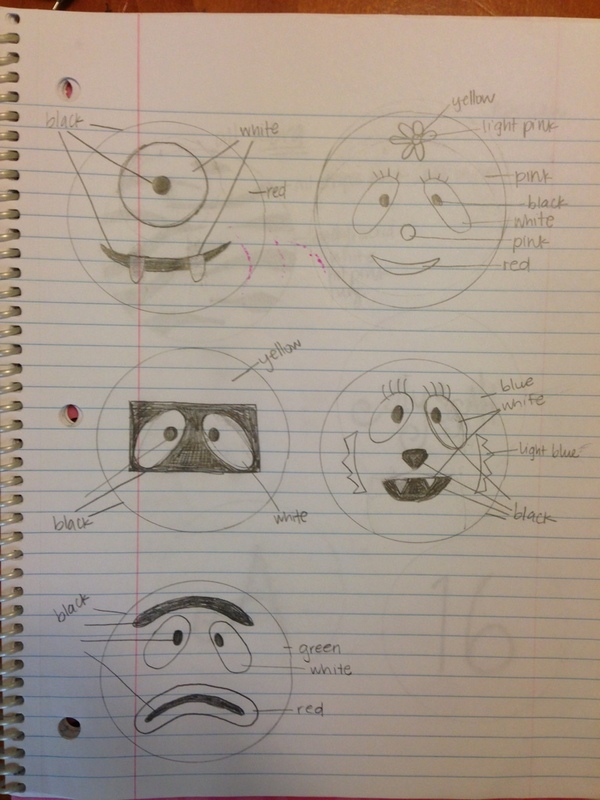 As part of Lilaloa’s February challenge of Sketching your cookie designs before you cookie them, I thought I would share my sketches. I typically do these before a complicated set, or if I am not sure the exact shape of something (for example when I’m doing animals) so I can play with it until I am happy with the outcome. So glad Georgeanne had such a fun challenge for February and I got it in in just the nick of time! I will post more of my sketches soon. Every cookier has their own way of doing things and I’d love to share my method in case it helps anyone else! 2012 was a really good year for this little blog. Thank you everyone who follows and reads and comments! You make me want to keep doing this day after day. I’ve made a few personal blog goals for the coming year, and I can’t wait to share more treats and continue to learn and try new things. 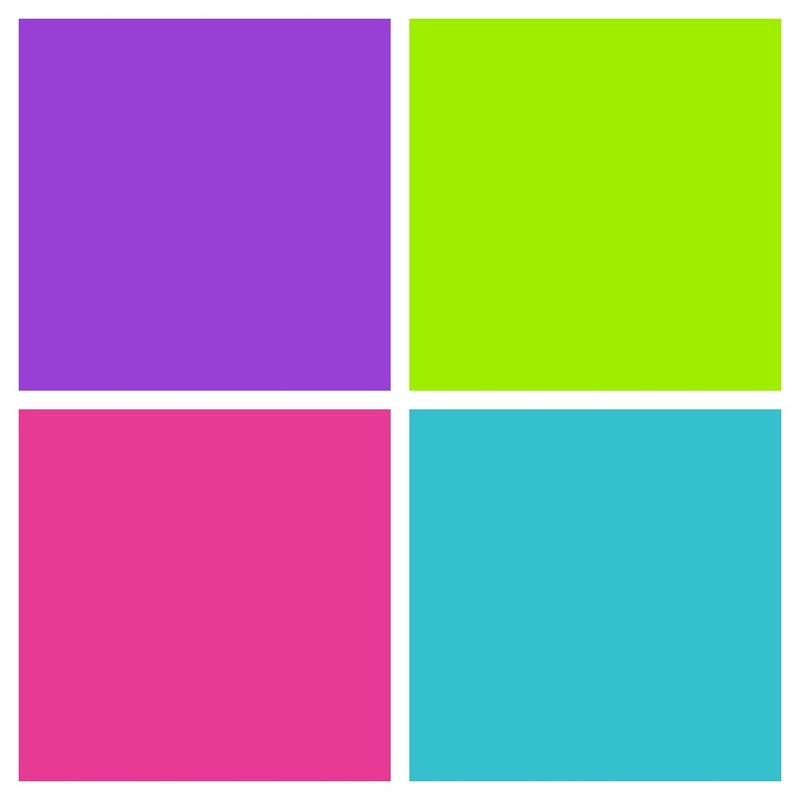 I created this color swatch to work from. I wanted bright fun colors, but something a little different than what I normally do. 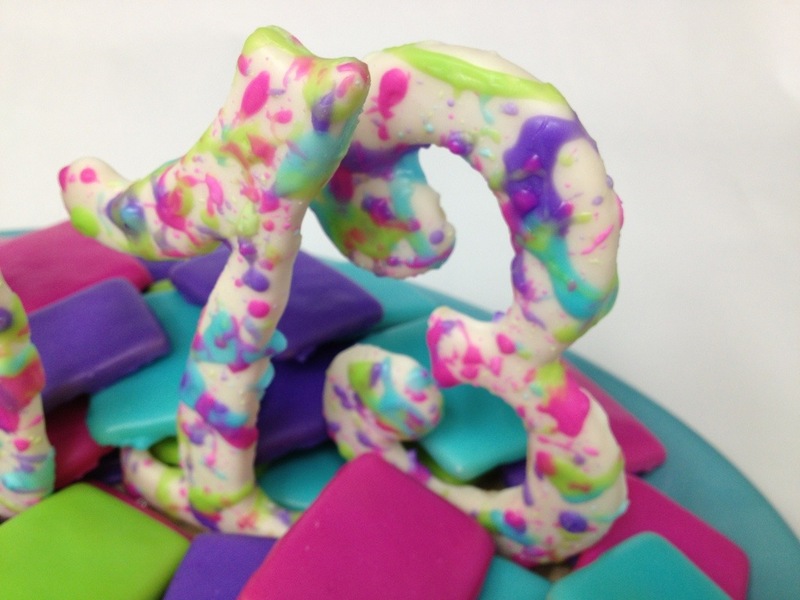 It was fun trying to get my icing to match colors I chose ahead of time. 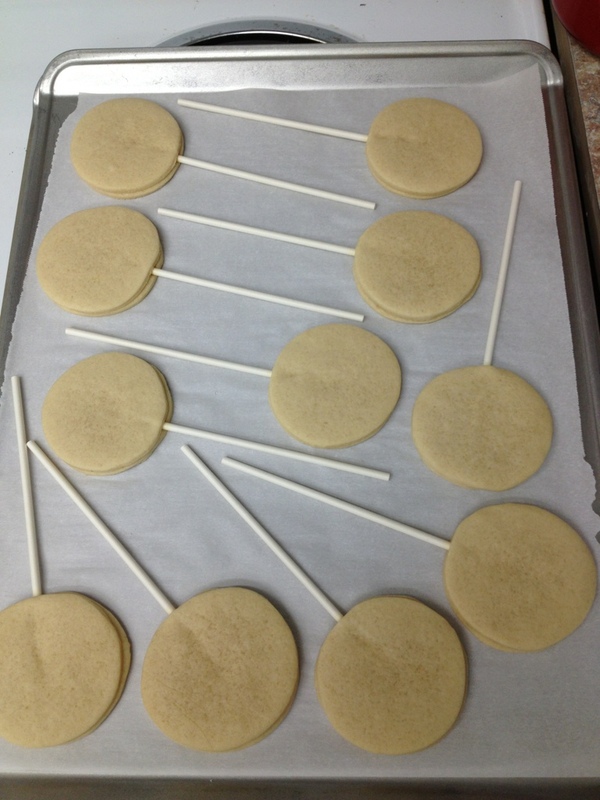 I iced the small tile cookies by pouring the icing over the cookie, like I did with these I Voted cookies. It might be my new favorite method of icing. It’s easy and I don’t have to outline and flood each one. I did the same with the numbers, but in white. I thinned out the remaining icing and put just a tiny bit into a squeeze bottle. Then I squeezed it and let the color splatter all over the numbers. 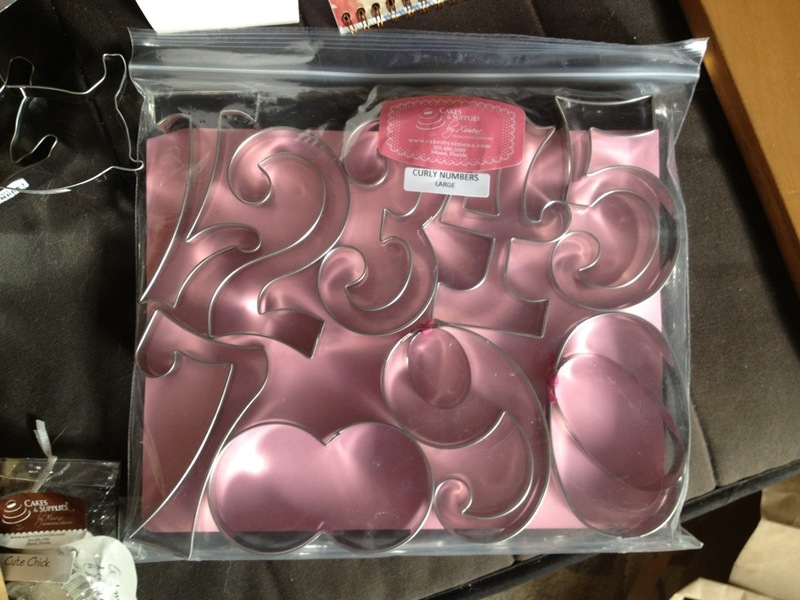 (Saw this technique on Sugarbelle’s blog here.) It was fun and came out so much better than I was even hoping! 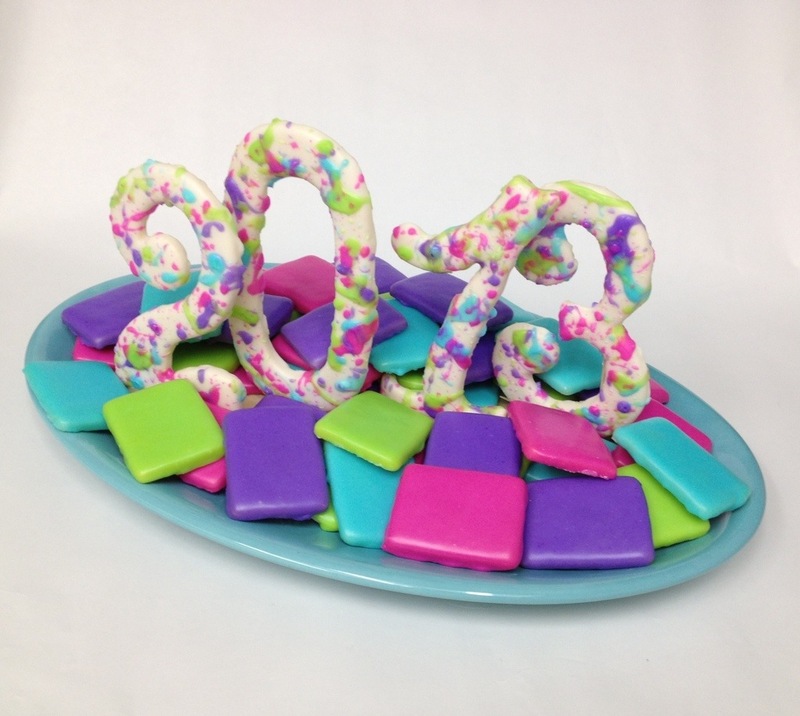 I stacked the tiles all around the base cookies, and they were ready for the party! I’m so ready for 2013, bring it on! 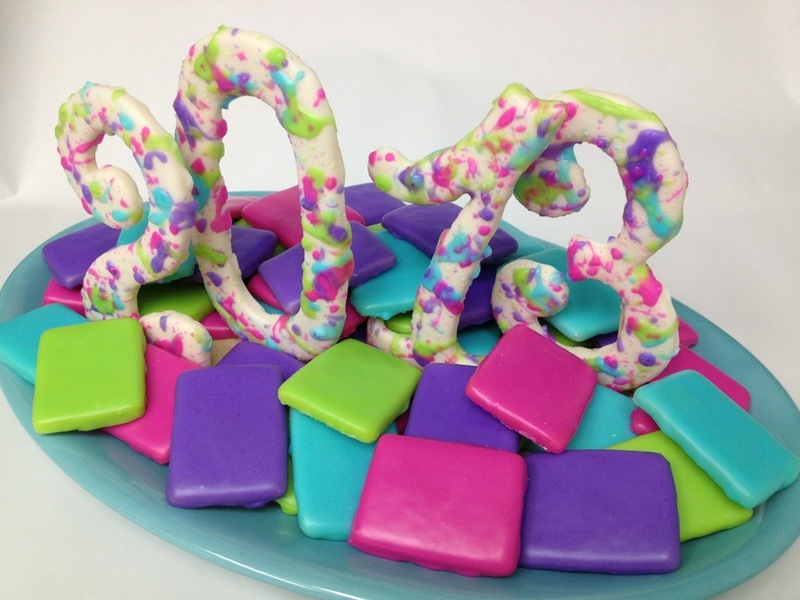 What goals or resolutions did you make for the New Year?! If you haven’t already, like me on Facebook! You can also follow me on Twitter, Instagram, and Pinterest! 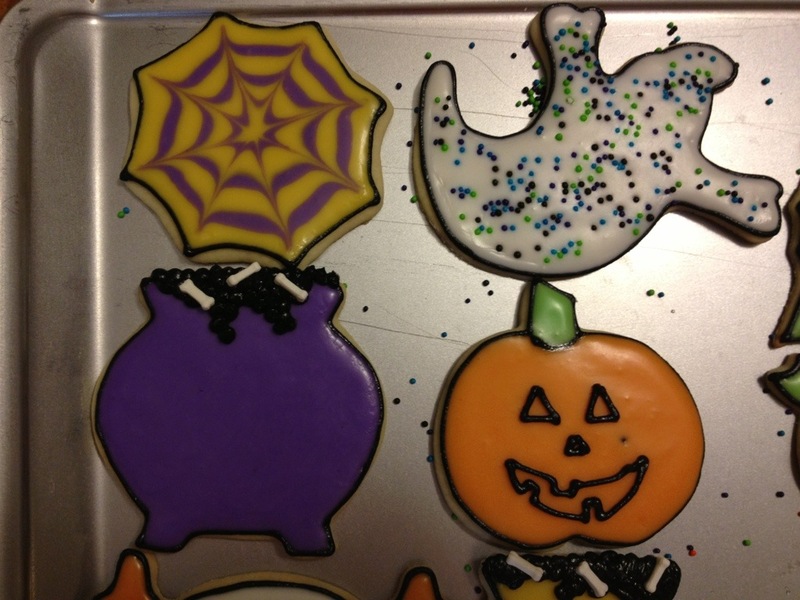 Nothing special or out of the ordinary, just wanted to share the few Halloween cookies I was able to make this year. 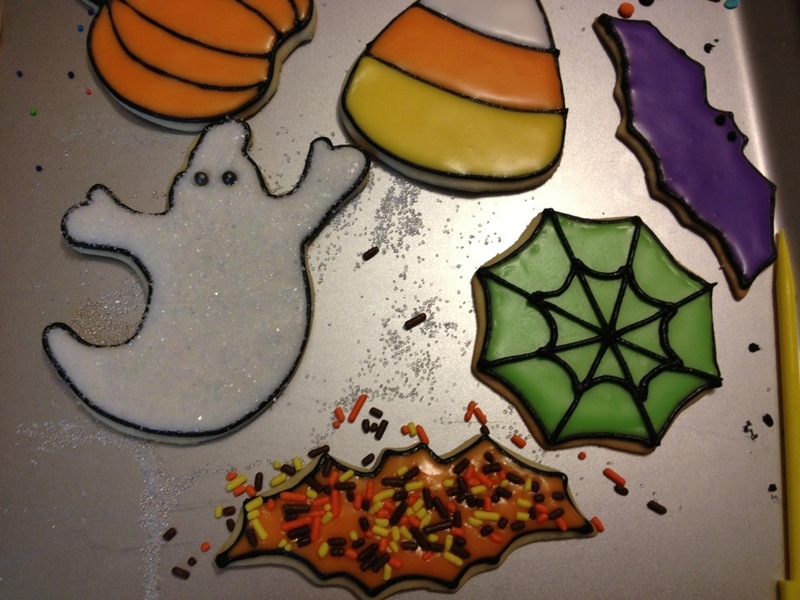 More Halloween treats to come next week! 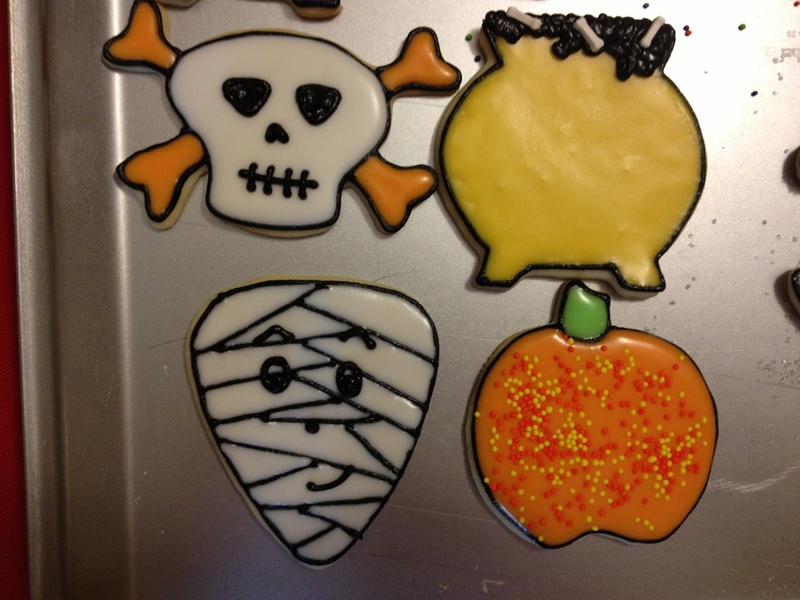 This may be the most intimidating set of cookies I have ever agreed to do… but it turned out one of the best! 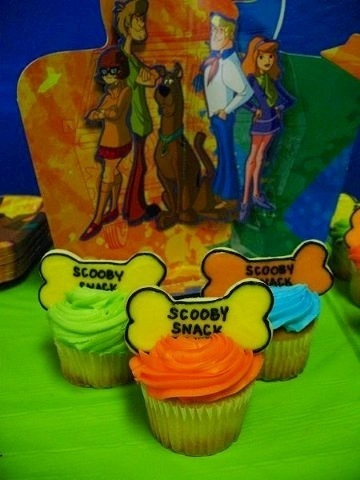 Matthew was having a Scooby Doo party and his mom Michelle surprised him with these matching cookies! 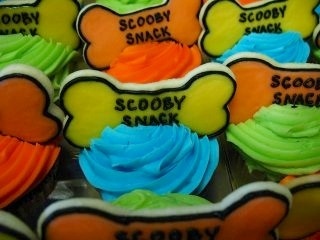 Scooby Snacks (bones) which topped the birthday cupcakes (I did not make the cupcakes; mom added them when she got home). …and Mystery Machines! 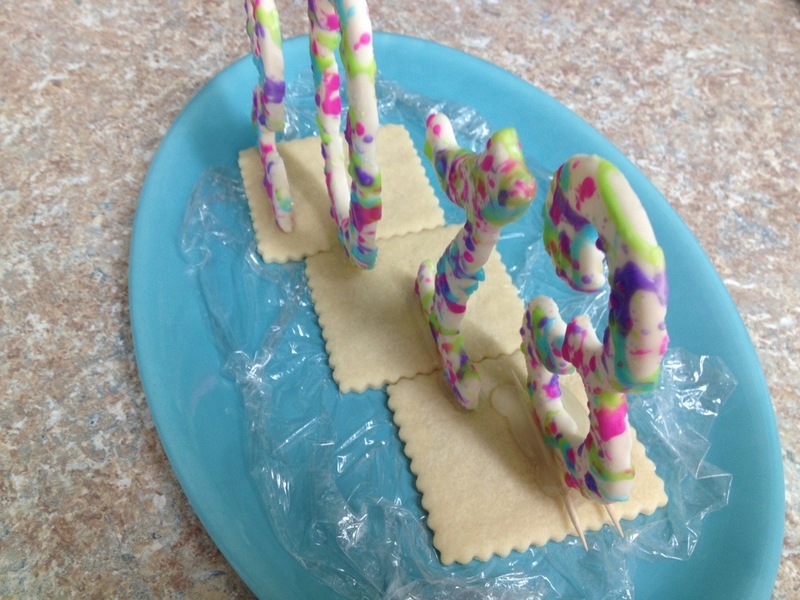 These were tough and may have almost made me crazy, but all that goes out the window when they turn out so cute! I’m so glad Michelle and Matthew loved their cookies. They’re definitely going to stick with me!